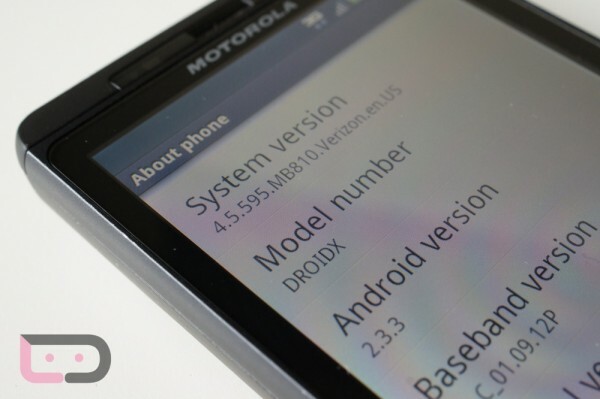 We were told earlier in the week by Verizon that the DROIDX Gingerbread (Android 2.3) update would start rolling out today, but it appears now as if only members of the “soak test” through Motorola’s support forums will see it initially. We had assumed that the soak would have started days ago to test and prepare for the mass update which would start today, so this is a little surprising. And of course, there is that chance soak test members are just being grouped together with non-soak test members, and the rollout will happen as planned to a bunch of you throughout the weekend. Interesting little note there about being rooted. I would hope that anyone running leaked software would know by now that you would need to roll back in order to accept it. I’ll point out again though that we’re hearing awful things about root with this update. If you want to stay rooted going forward, you might want to wait until the devs have a few days to crack on this thing. Would hate to see all of you hoping to be on “official” software and not see root for the rest of your device’s life. Cheers B and everyone else!